I was visiting a couple I’ve known for many years. Her mother was cooking a few of their traditional holiday dish, Tamales. When the holidays rolled around Tamales were definitely on the menu. I understand, after making them myself, why it’s a holiday treat. 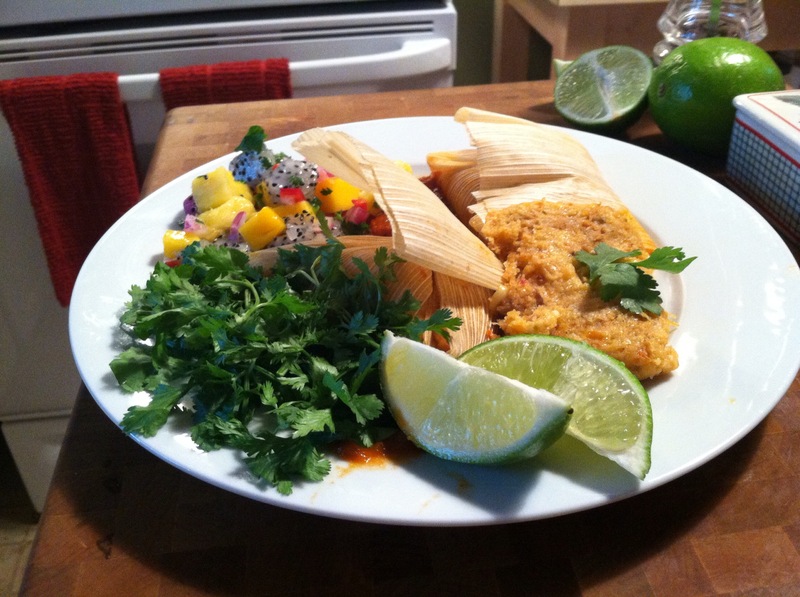 It’s a great time for the family to gather in the kitchen and all take part in preparing the Tamales. I thought I’d serve Homemade Pork Tamales with a side of Dragon Fruit Salsa. This recipe is one that you can make your own, so that’s what I thought I’d do.